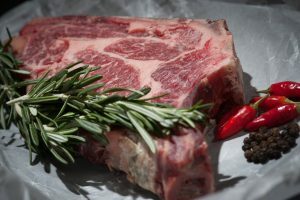 The real story of organic beef and its journey from pasture to your plate – Pasture To Plate Rancher | What’s The Difference Between Grass Fed Beef and Grain Fed Beef? What’s The Difference Between Grass Fed Beef and Grain Fed Beef? 20 Mar What’s The Difference Between Grass Fed Beef and Grain Fed Beef? If you are a beef eat er you might be aware of the types available in the market mostly the one that comes in exclusive packaging that highlights the fact that it is grass fed beef. What you feed the cows is what you get to eat and most often cattle feed on grass but for convenient growth, they are fed with grains, given steroids and antibiotics to survive in the unsanitary environment and then taken away for slaughtering which is what you buy at the supermarket. The traditional way of raising a calf is that it is allowed to roam freely and feed on grass and shrubs they find within their environment while milk from the mother. The calf that grows up in such environment is more natural or organic. It is given its own time to grow and everything in the environment is rather natural. Although this is quite rare now, the more that people are becoming aware of unethical ways cows are being treated, the more they either opt for grass fed beef or shunning meat eating altogether and becoming vegan. This is because the traditional way of raising the calf has been taken over by the more conventional way and that is why people who have seen the inner world of the unethical practice stay away from beef. 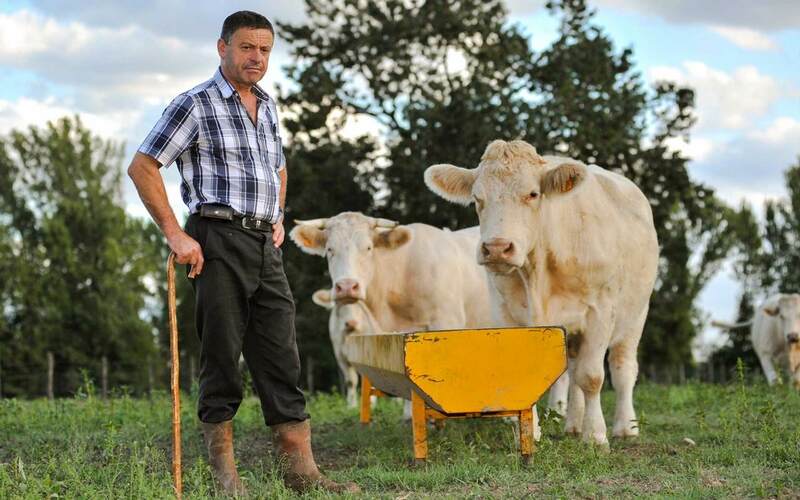 The conventional process of beef production involves feeding cows grains with the mixture of soy or corn which provides quick fattening and unusual growth to cows. The place where the animals are kept is far from what it can captivate, the cows are hoarded in a nasty, overcrowded barn-like place which doesn’t give them enough space to move around. Along with their inconvenient diet, to accelerate the process of growth, they’re injected with steroids. The beef that comes from grain fed cow is more bulked up and seems tangy but is not nearly healthy for consumption. What you feed the cow is what you eat from later. Steroids and grains make the beef lose its correct tenderness, and all the healthy omega fats and antioxidants providing nutrients are not given to the cow. In turn, we don’t get these nutrients when consuming the beef. The traditional method of pastured diet given to the cows is gone so rare that the few who provide the authentic grass-fed beef have made it quite a luxury. That is the reason why genetically modified organisms (GMOs) are plentiful in the market at a variable but affordable prices. But the organic grass-fed meat is more expensive and people tend to think it’s a luxury item. Our hope is that you now understand you’re paying more for a grass fed piece of beef for its health benefits over grain fed, not because it’s trendy or cool. 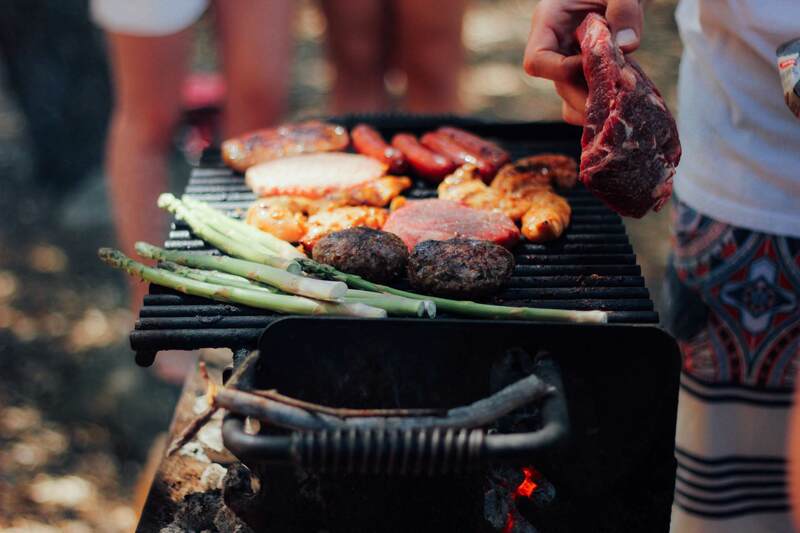 Pure grass fed beef is healthier as it contains the omega 3 and 6, antioxidant properties, vitamin A and E, zinc, iron, sodium, phosphorus, potassium. When we cook this beef and consume it, it’s providing you with all the necessary nutrients. What goes into the cow when it’s raised goes into your body when you eat it. Remember that important fact before just buying any beef.